This luxurious single-ply blend of silk, wool and alpaca dyed in lovely soft colors creates an almost heathered look. An ideal choice for hats, sweaters and warm winter gloves! "We are dedicated to producing the finest fleeces, roving and yarn by giving our animals the best possible care. We are deeply committed to raising our goats and sheep on a natural diet of pasture and hay for as much of the year as possible. We've also made a conscious decision to have our fleeces processed by a small, family-owned mill, rather than sending them to a big commercial processor. We think the extra attention to detail we receive is worth the added expense and slightly longer return time. And we like the idea of keeping those dollars in the hands of our community. 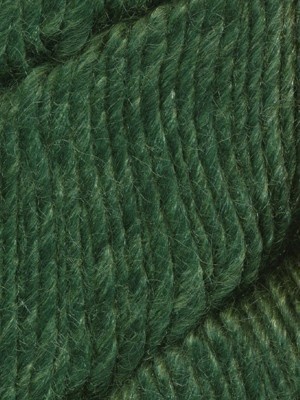 Our farm is the originator of the Yarn and Fiber CSA. 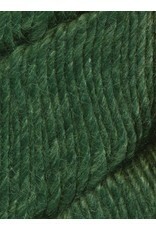 We sell shares in our spring and fall yarn harvest in advance to knitters and spinners looking for a deeper connection to their fiber. Click here to see how it works. We are very proud of the fact that no animal on our farm is ever eaten. Our sheep and goats live out their natural lives on our farm, some into their teens, which is almost unheard of these days. We believe that animals that have given us fleece and lambs deserves the happiest life we can provide for them."